Biomechanical engineering, also referred to as biomechanics, is the research and analysis of the mechanics of living organisms and the application of engineering principles to and from biological systems. The study of biomechanics ranges from the inner workings of a cell to the movement and development of limbs, to the mechanical properties of soft tissue, and bones. Some simple examples of biomechanics research include the investigation of the forces that act on limbs, the aerodynamics of bird and insect flight, the hydrodynamics of swimming in fish, the anchorage and mechanical support provided by tree roots, and locomotion in general across all forms of life, from individual cells to whole organisms. 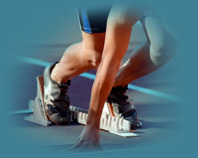 Biomechanics as a sports science, kinesiology, applies the laws of mechanics and physics to human performance in order to gain a greater understanding of performance in athletic events through modeling, simulation, and measurement. Aristotle wrote the first book on biomechanics, “On the Movement of Animals.” He not only saw animals' bodies as mechanical systems, but pursued questions such as the physiological difference between imagining performing an action and actually doing it. As we develop a greater understanding of the physiological behavior of living tissues, Biomechanical engineers are able to advance the field of tissue engineering, as well as develop improved treatments for a wide array of injuries, and design and create products that are ergonomically designed to promote the good health and well being of those who use them.